Water Fountain For Your Cats & Dogs & A Water Feature, Too. I have always loved water features. At the homestead, we ended up with 12 ponds, some were natural, some were naturalized, and some that we dug. There's something tranquil and serene about watching wildlife frolic on the pond. I don't know how cattails and snails and other pond life find their way to our ponds, but they did and in plenty, too. We had wild birds, frogs, fish, as well as all manners of submerged, floating, and rooted water plants, making for a very natural eco-system in no time at all. 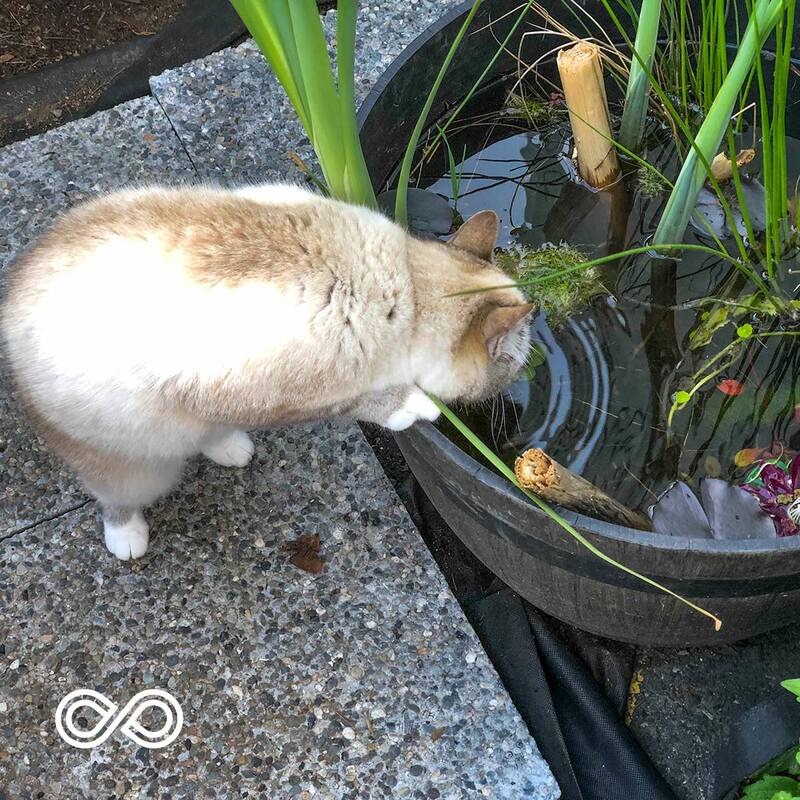 At the Rawganique Office where we turned a section of the parking lot into a secret walled garden, of course, we couldn't resist adding not one, but three water features (more on this in later articles), the smallest of which now doubles up as our Kitty's favorite watering hole. And Sesame, our 17-year-old canine, loves it, too. To keep our ponds fresh, clean, and full of life without being a breeding ground for mosquito larvae, we always have oxygenating plants as well as a pond aerator, which pumps air / oxygen into the water, which then bubbles up to the surface as a gurgling pond feature. This keeps the water fresh and aerated at all times. It also injects plenty of oxygen into the water for the fish during heat periods, where oxygen supply in the water can be low, endangering the health of fish. 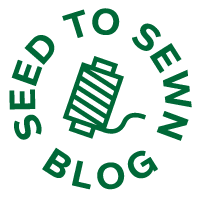 This blog is devoted to a simple, healthy, chemical-free lifestyle. 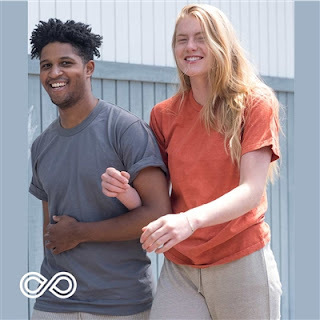 We focus on sweatshop-free production of natural fiber wearables made from organic European hemp and linen, as well as modern-day self-sufficient homesteading.